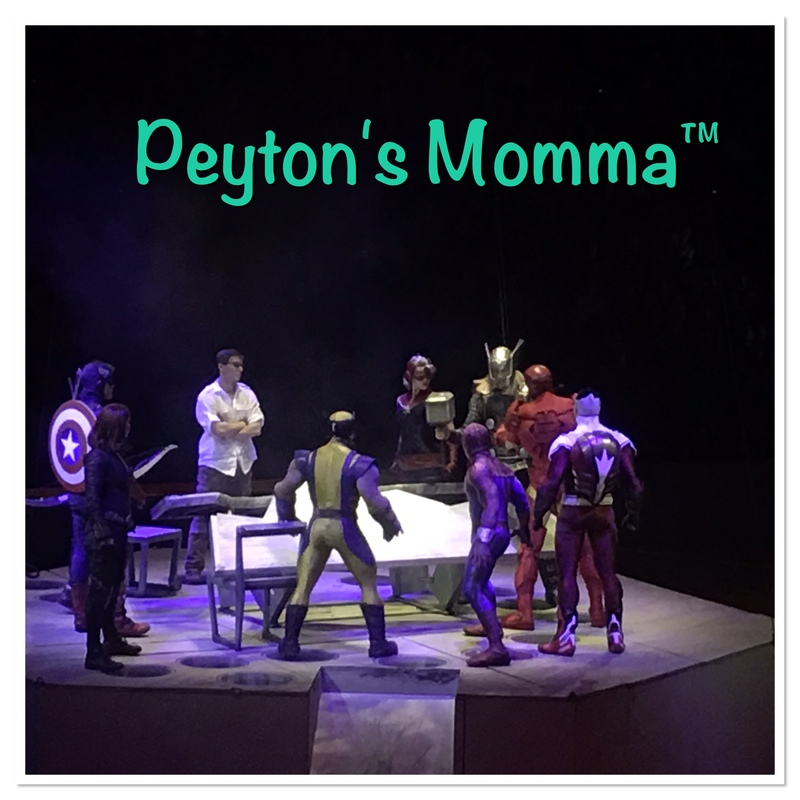 Peyton has been enthralled with superheroes for some time now. When I saw that Marvel Universe Live! was coming to the Twin Cities I just knew I had to get tickets for us. When I first went online and priced out the event I nearly had a heart attack! But then I remember a site I like to use for entertainment events. Goldstar, it’s like Groupon for entertainment and shows. 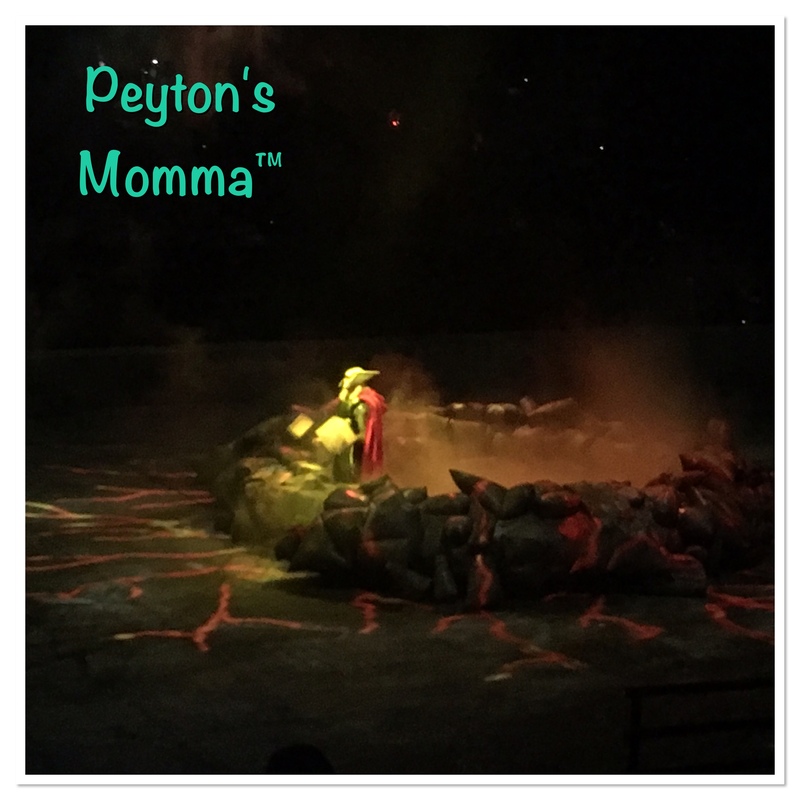 So I kept my eye on Goldstar and hoped they would have tickets to Marvel Universe Live! And sure enough they did! I was able to score our tickets for $15 each plus processing fees. That was a huge price difference than what I had priced out a few months back. I bought my tickets and kept it a secret from Peyton until a week before the show. When I told Peyton we were going to Marvel Universe Live! she couldn’t contain herself. She was so excited. She had so many questions about who was going to be there and to be honest I am not much a Superhero groupie so I had to look it up. From what I could tell it appeared that Spiderman, Thor, Iron Man and the Hulk would be there. Those are characters she knows. Once she found out the lineup she was even more excited. 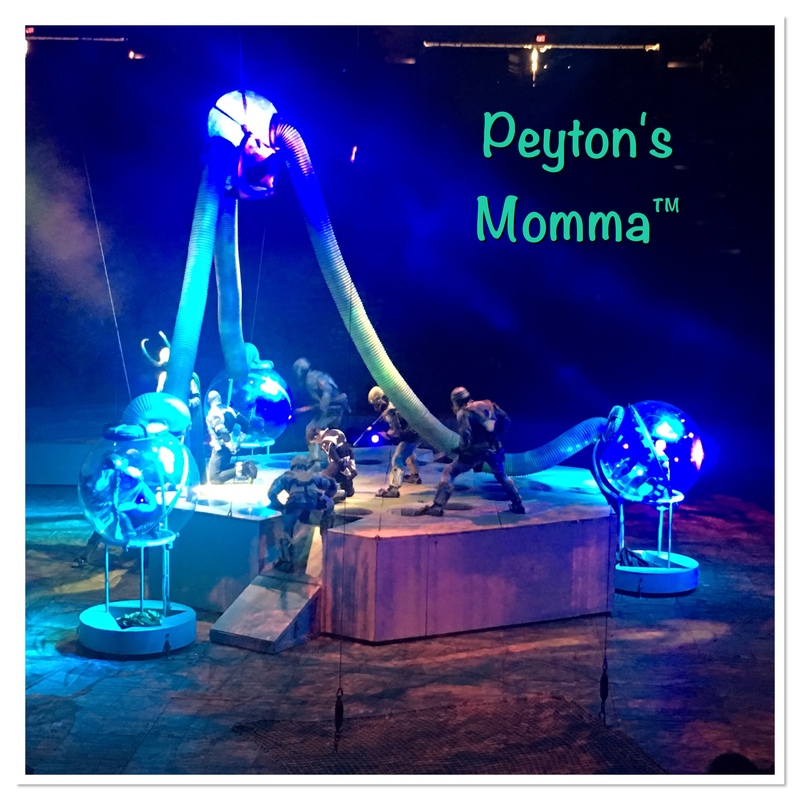 When the day of the event arrived Peyton was bursting with excitement. When I dropped her off for school she couldn’t wait for the day to be over because she knew we would be heading to the Target Center to see the show. So when I arrived to pick her up she already had her jacket on, finished her homework and was ready to go. Off we went to the Target Center. Driving in downtown is not one of my favorite things to do. I am used to suburb and rural driving so for me this is intense which is funny because I used to work downtown! I found our parking ramp and we headed off to the box office to pick up our tickets. I thought Peyton was going to sprint across the skyway. She couldn’t wait to get a snack and find our seats. Once inside we started to scope out the food. I would say the selection is very similar to the Disney on Ice events we had been too. There were large bags of popcorn with character hats ($15), Spiderman Snow Cone Cups ($15), Marvel Sippers filled with Lemonade ($12) and a few other souvenir drink options with most around the $15 range. There were also mini donuts and hot dogs to purchase as well as soda and water. 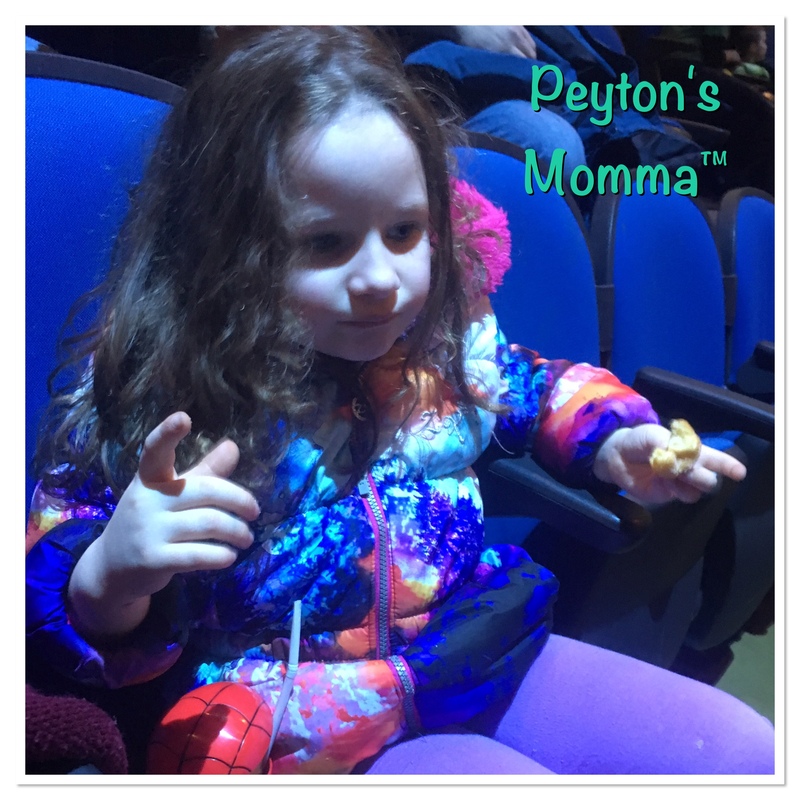 Peyton loves going to events like this because it’s the one time she gets to enjoy mini donuts. So I let her get a huge bucket of mini donuts to share with me and a Spiderman Snow Cone. Then it was off to find our seats! Wow! Our seats were great! Stage right and 10 rows up. Perfect view for little ones! I was surprised they were so great knowing we had gotten them for a deal. When the show started it opened with Thor setting the plot for the evening. Lots of flashing, strobing lights and loud. Peyton was really getting into the show. The first half was full of adventure and action. There were strobe lights, fire, firecrackers and explosions. Peyton was thrilled. Then it was intermission. 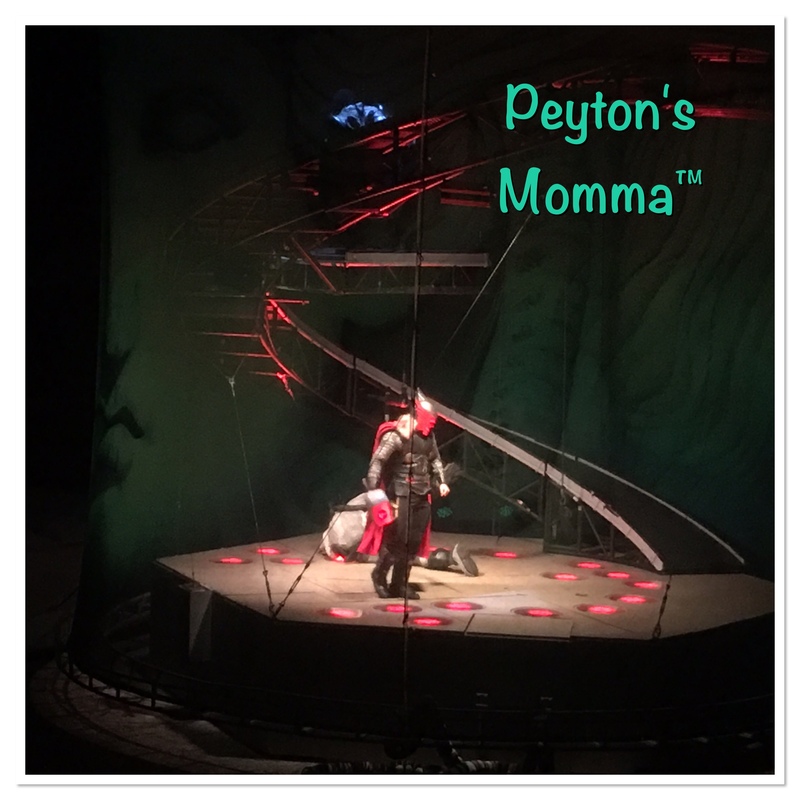 This was the first time Peyton had learned about Black Widow and when she saw Black Widow kicking some major tush in the show she was mesmerized. Instantly Black Widow became Peyton’s favorite character. Sorry Spiderman. After intermission the show began with the Superheroes chasing down Villains throughout the world. This part of the show was a little more intense than the first half. Lots more fire, a man was on fire (in a fire suite) and the explosions had really been taken up a notch. The fight scenes were choreographed well enough that Peyton thought it was real. After about 15 minutes Peyton could not handle the constant stimuli so we called it night. 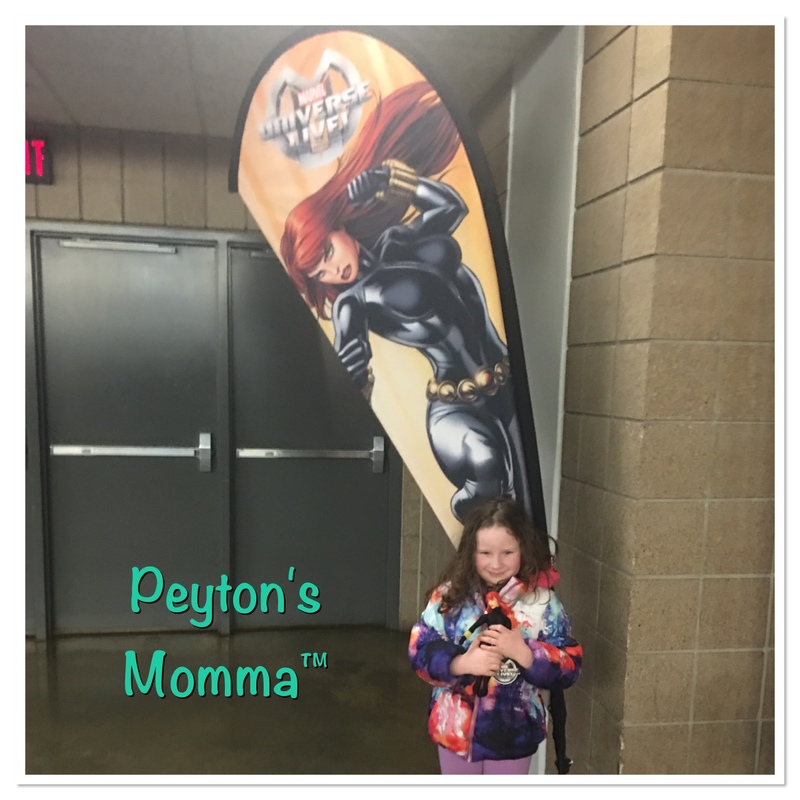 As we were walking out Peyton saw a sign for the Black Widow. With her Black Widow doll in hand she just had to pose for a picture. I thought Marvel Universe Live! was an action packed show great for all ages. If you child is frightened by loud noises or gets overwhelmed easily this may not be the best show. I was on the fence with taking Peyton but I’m glad we went. She had a wonderful new experience and enjoyed herself. Even though we left early she still had a great time. And we got to avoid the rush of everyone else leaving! It was nice being able to take our time maneuvering out of the parking ramp, through construction and onto the freeway with minimal traffic. 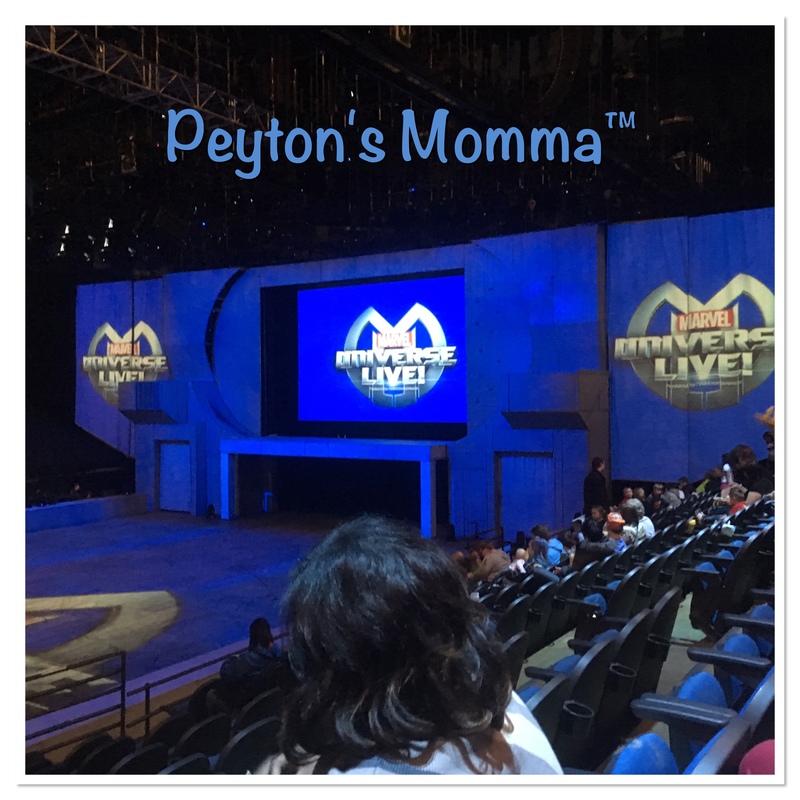 I know my nephew would love Marvel Universe Live. Thanks for the post. Wow! My kids would love them! Hopefully they can do shows over here in the Philippines. Lucky kid! Thanks for sharing. Very cool, that looks like so much fun! Wow! My kids would love to see this! Totally jealous right now, lol! My girls too have been fascinated with superheroes. Hulk especially for my youngest, maybe because he leaves a path a destruction juat like her, lol! I’m glad you guys had a blast.